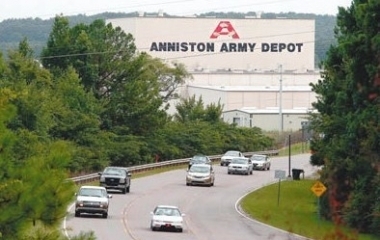 Over the past half century, Anniston Army Depot has transitioned from forested depot to a high-density industrial complex while hosting a plethora of diverse and wide-ranging missions. Since its origin in 1942 as a storage depot, ANAD has been transformed into a state-of-the-market maintenance facility, earning its highly-esteemed reputation as "The Tank Rebuild Center of the World." Broadly diversified skills are deep-rooted at Anniston and our success is attributable to the teaming of our highly skilled workforce with a strong management support structure. Our workforce, armed with state-of-the-art equipment and technology, invites the challenge of any new work effort with the renowned "Anniston can do it" attitude. 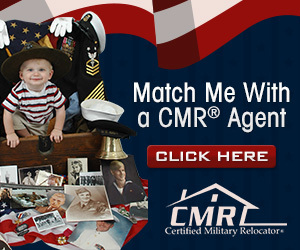 For more information, go to Anniston Army Depot's homepage. Nestled in the foothills of the Appalachian Mountains in northeast Alabama, Anniston Army Depot (ANAD) occupies over 25 square miles of land in the southeastern United States. ANAD is located between two major cities, Atlanta, GA, 90 miles to the east on Interstate 20 and Birmingham, AL, 60 miles west on Interstate 20. ANAD has been transformed into a state-of-the-market maintenance facility, earning its highly-esteemed reputation as "The Tank Rebuild Center of the World." The base operator's phone number is 256-235-7445 or DSN 312-571-7445. Exit Atlanta Airport on S Terminal Parkway, Take Airport Blvd/Camp Creek Parkway SW, Merge on I-20 West - Go approximately 85 miles, Proceed to Exit 179(Munford/Coldwater) Follow Coldwater sign , Proceed to Hwy 78, Turn Left onto Hwy 78 East (Anniston Army Depot sign on Right Side), turn Right onto Bynum Cutoff Road and follow to Stop Sign, Turn Left into Right Lane to Anniston Army Depot, Follow Road to Main Gate ( This is Victory Drive).